While many Olympic sporting events allow you to see a lot of action in a short period of time, some you’ll need to devote a little more watching time to. That’s definitely the case for the length of hockey games at the Olympics. Since ice hockey isn’t a race, you’ll want to get a comfy seat on the couch and prepare lots of snacks to watch both the Team USA women’s and men’s games. And if you’re familiar with the NHL, you should be pretty accustomed to this since the ice hockey games at the 2018 Olympics pretty much follow the same format. That means you won’t see any NHL stars on Team USA this year — but you’ll still understand the flow of the game. Because just like the NHL, ice hockey games at PyeongChang will have three 20-minute periods with two intermissions. Intermissions at the Olympics are 15 minutes between each period, so while it’s 60 minutes of gameplay, you have to factor in an additional 30 minutes for those breaks. Plus, any additional stoppage that may occur due to penalities. In the case of the gold medal game, overtime is still sudden victory, but it’s a 20-minute-long period with a 15-minute intermission in between. If the game is still tied after the overtime period, then a penalty shootout occurs. 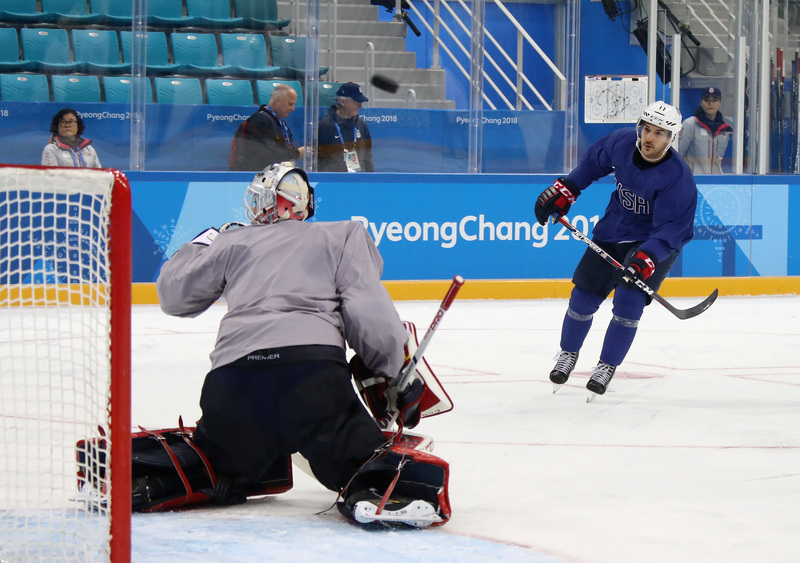 As The Washington Post noted, a significant difference between the NHL and the Olympics during shootouts is that a player can only shoot once in an NHL game. In the Olympics, just the first three shooters have to be different. After that, the team can keep sending the same athlete up. How long a hockey game goes really depends on the score. But the base time is an hour and a half. Yet, if it’s predicted to be a tight game — like it might be if the women’s teams for the U.S. and Canada battle for gold — then you’ll want to allow more time. And you’ll want to get plenty more snacks.